Expanding on the immense popularity of the Men�s Darkhorse Wading Boot, Korkers made a model specific for female anglers. 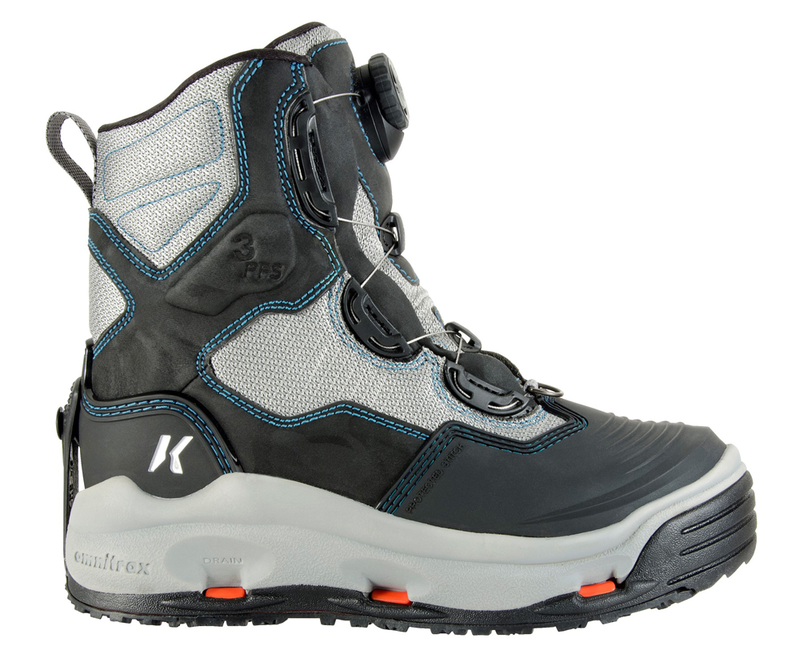 This is not a sized-down men�s boot, but a wading boot designed specifically for a woman�s foot-- as it should be. This is an incredibly durable boot, ladies. It has a molded TPU toecap that provides immense bump protection and durability. The stitching on the entirety of the boot is protected for prolonged thread life. This boot features the BOA M2 lacing system for quick on/off and a customized fit. This lace free technology is absolutely fantastic and wildly easy. You will really appreciate it on frigid mornings! Not only is the exterior of the Darkhorse Boot highly abrasion resistant, it is also hydropobic; therefore, it sheds water quickly. Korkers didn�t stop at hydrophobic technology. This boot is designed with internal channels and midsole ports to remove excess water in an instant thus reducing weight and water as you walk and fish. 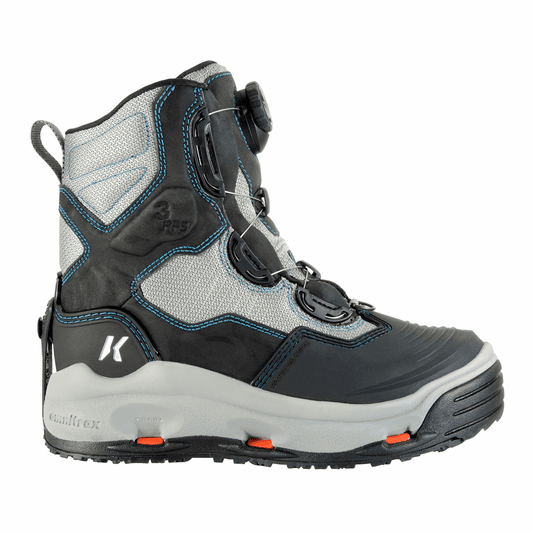 As you�ve come to expect with Korkers, this boot features the extremely popular OmniTrax interchangeable sole system for removable and customizable traction on the fly. As you will see in the �options� dropdown menu, this boot comes in two different traction options. Note that you can purchase any individual Korkers sole from the Caddis Fly Shop as well! This boot is 9 inches high and weighs 2lbs 4oz per pair. We are just a quick call away! of Eugene, Oregon Trout Unlimited.